Here are just a few of Falmouth’s restaurants. At the mouth of Falmouth’s bustling Harbor, the Flying Bridge Restaurant serves up primarily seafood. It is also a great place for weddings and functions. Fine Seaside Dining overlooking Vineyard Sound! Cape Cod’s favorite location for Irish music, live entertainment, freshly prepared Irish favorites, and creative contemporary cuisine. 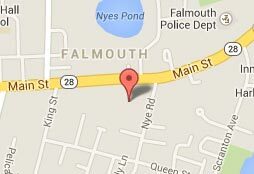 Italian and Mediterranean fare overlooking Main St in Falmouth. A vintage diner that has all the expected usual diner fare. A great place for breakfast, lunch, or dinner just three doors down from The Mariner. A casual restaurant and bar in Falmouth specializing in seafood. A famous place for weddings and receptions serving exceptional food. Upscale pub with great craft beers serving American cuisine at its finest.